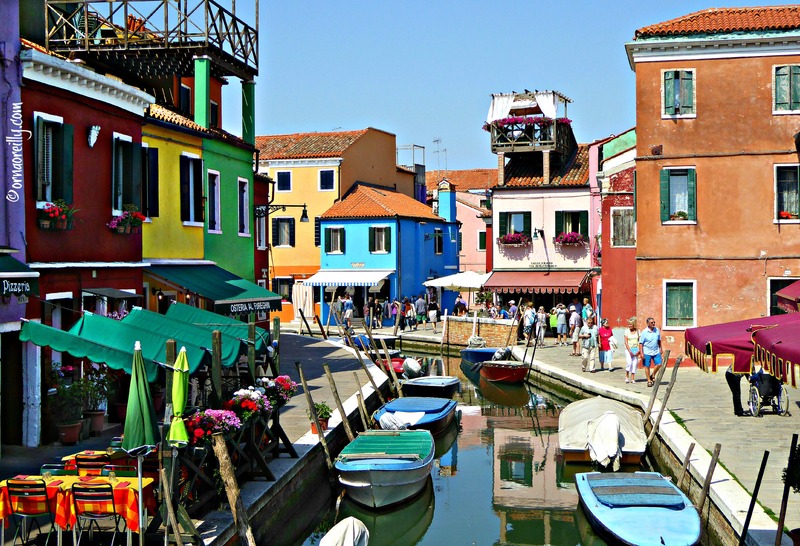 For those of you who have never heard of Burano, I can tell you that it is an island in the Venetian Lagoon famous for its colourful fishermen’s cottages. Just a 40 minute vaporetto (water bus) ride from Venice herself, it is often overlooked by those who visit La Serenissima on a tight timetable and decide it is not worth the effort. Wrong! It is a wonderful place to visit and – summer or winter – it never fails to delight. With a population of less than 3,000 hardy souls, it a densely built-up little island interwoven by canals filled with colourful fishing boats which match the bright houses. It is situated at the northern end of the Venetian Lagoon and – apart from being highly photogenic – is famous for its lacework. 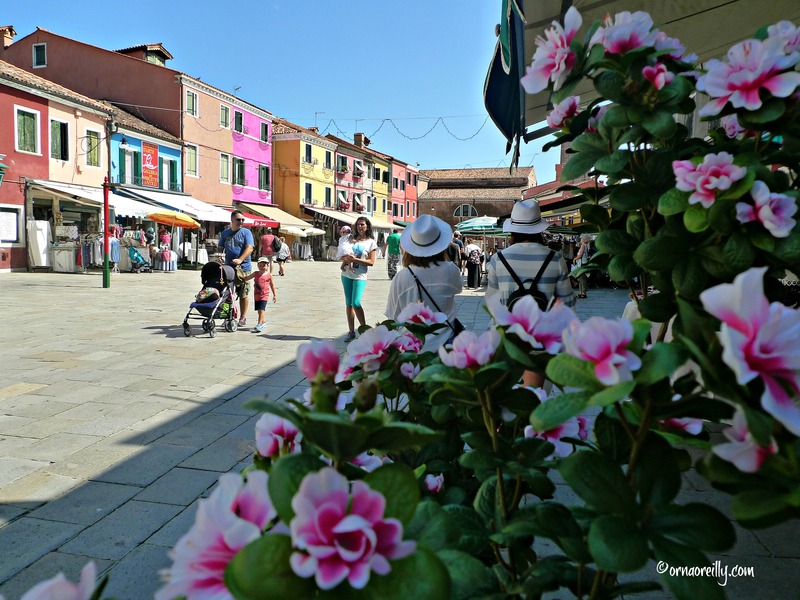 As you stroll through the island’s labyrinthine, narrow streets, you will see many ladies sitting in the sun, chatting with their neighbours, while making the delicate Burano lace. Dating from around the 16th century, it is part of the island’s history and, if you are interested, you can pay a visit to the Museo del Merletto (Museum of Lacemaking). So let’s take that sunny stroll…………. As you wander across the many little bridges, you will notice the ominously leaning bell-tower (campanile) of The Church of San Martino. I also love to look up at and admire the many altane (wooden roof terraces) which are positioned to take the sun and sea breezes during the hot days on the island. Used for dining, sunbathing or just admiring the view, you will notice many altane in Venice too. Just look up and take note! As far as food is concerned, it’s obviously all about the fish and my own personal favourite restaurant there is Al Gatto Nero (The Black Cat) where I have been eating as often as possible since about 2003, when I first visited the island. Not to be missed is the Risotto alla Buranella, which is simply fabulous. Made from the giozzi fish from the lagoon, it is creamy and full of delicate flavour. Their pasta and dolce are excellent too. Another good restaurant is Ai Pescatori (The Fishermen). It also serves Risotto alla Pescatore (seafood risotto) which is utterly delicious. On arrival at the railway station in Venice, hop aboard vaporetto No. 4.1 to take you to Fondamente Nove then change to the No. 12, which will take you to Burano via the island of Mazzorbo, which is worth a look and is attached to Burano by a footbridge. 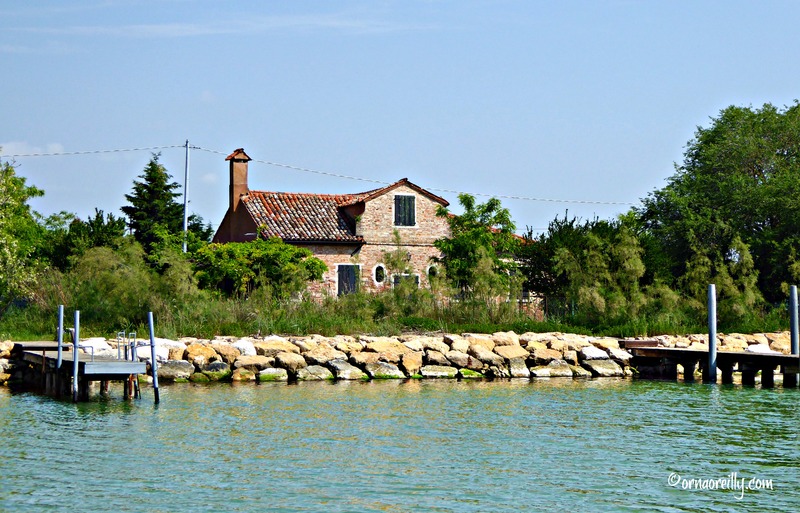 It is an interesting journey, heading north on the vaporetto, passing by the cemetery island of San Michele and the famous glass blowing island of Murano, eventually spotting the church tower on the tiny island of Torcello. You’re almost there! Arriving on Burano, you will find yourself – after passing by one of the few green areas on the island – heading down a narrow street full of shops selling lace, including pretty umbrellas and fans. These shops are highly attractive and very few people can manage to escape from this little street without being lured into one of the gorgeous shops full of colourful scarves and dresses. Almost all of my visitors to the Veneto over the past few years have been persuaded to visit Burano and all have been enthralled. Well worth the effort. Lovely narrative and colorful photos. You did Burano proud. 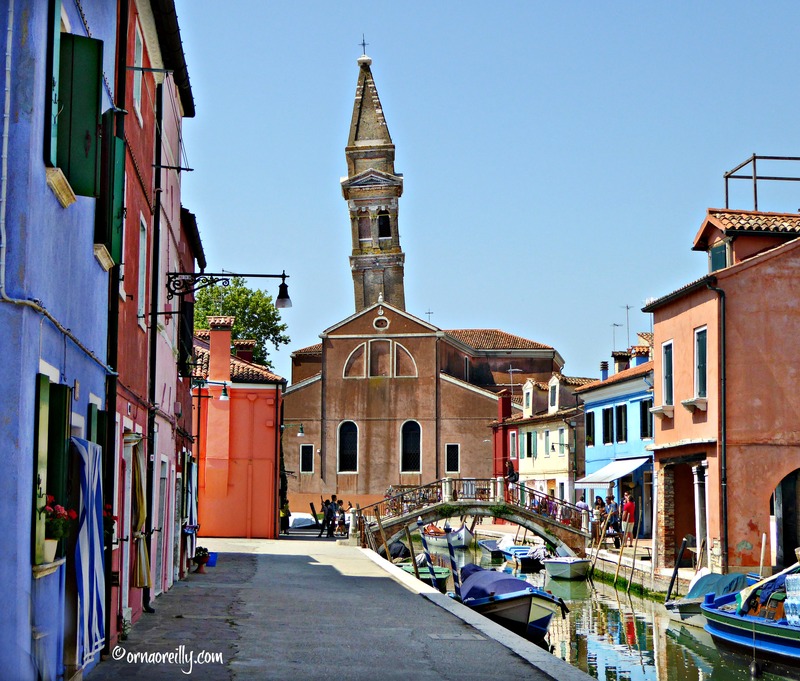 Loved your photos and commentary reminding me of my sole trip to Murano and Burano in 1977. I bought several gorgeous, crocheted dining room table cloths, place mats , and hand sewn handkerchiefs for my mother and relatives, as Christmas gifts that year. The table cloths are still in use. Will definitely head to Al Gatto Nero based on your recommendation if/when back there. It sure is a lovely little island, and I’m glad you gave Mazzorbo a plug as well! 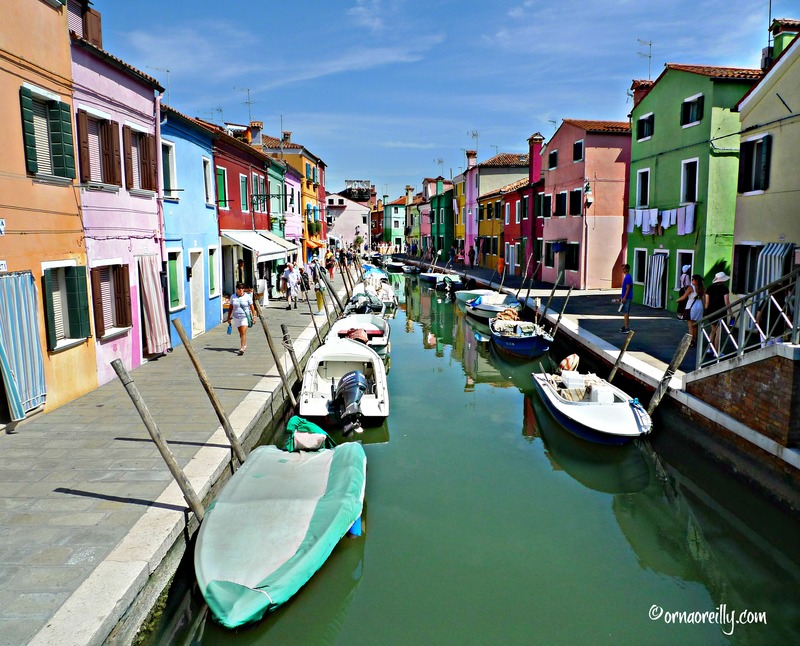 I only visited Burano once quite a number of years ago and found it to be a breath of fresh air in my Venice sojourn. Love your vibrant photos! Loved Burano spent a day that last year when in Venice! Love following ur travels and you make me feel as if I’m travelling with you . I visit Italy 4-5 times a year and I have just been denied insurance with ‘insurance4carhire.com. I have been insuring with them for the last 6-7 years . They state they only insure some European country’s now nd Ireland is not one of them! My renewal date was 7 sept and their policy is not to inform customers any more of cancellations . Reblogged this on Orna O'Reilly: Travelling Italy. There are so many wonderful islands to explore in the Lagoon…I live in Vicenza, but I have yet to visit many of them! It is indeed a gem that often gets overlooked. A nice change from the often commercial aspect of St. Marks and a look at the people of Venice and how they live.